As people have been more conscious of the Earth and moved to become more eco-friendly, recyclable and sustainable products have become quite popular. One of these materials is reclaimed wood. Homeowners are renovating their existing homes with reclaimed wood and are choosing it for new builds as well. As a completely recyclable material reclaimed wood reduces the stress and strain that man made products put on the environment. When looking into using reclaimed lumber, home and business owners alike must take into account the cost of reclaimed wood. So What Is the Cost of Reclaimed Wood? One of the most popular uses for reclaimed wood is flooring! At a minimum you will find that reclaimed wood flooring averages around $8 – $12 a square foot. In certain cases, the maximum cost can reach prices as high as $20 – $40 a square foot! What many homeowners fail to consider are labor costs for installation. You can choose to use a general handyman or there is actual flooring specialist available just for install. Obviously, this choice will cost a bit more. Does the shape of the space that you are having the reclaimed wood installed in oddly shaped and going to require a lot of customized cutting? Not only will this require that you purchase more material up front, but it will tack on additional charges to your labor costs as well. Does the subfloor in the area of installation need to be replaced or can the reclaimed wood be put directly on top of it? Throughout the project depending on any specific problems that come up you may have to purchase additional materials and/or supplies like nails, hardware, sandpaper, etc. Aside from all of the above considerations that may affect the final price of a new reclaimed wood floor, you need to take into account what category of reclaimed you are planning on using. Once you begin looking into reclaimed wood you will find that there is quite a variety. 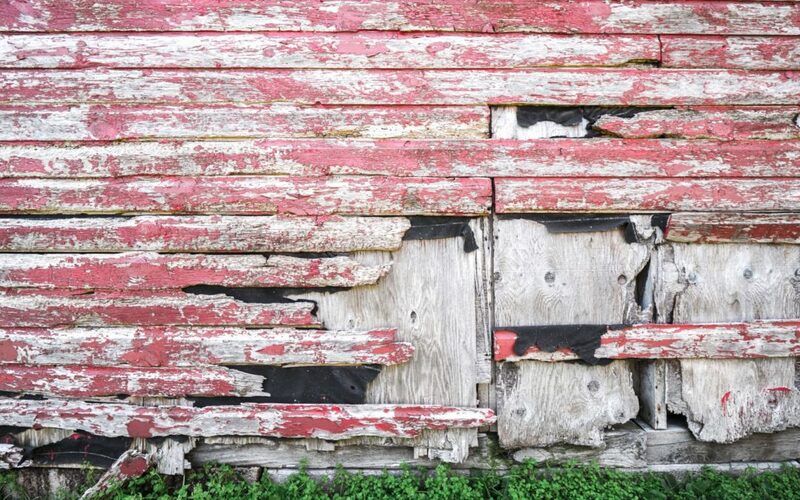 As most of us know, most reclaimed wood is collected from abandoned buildings that are usually centuries old. The most common and readily available types of reclaimed wood flooring is oak, maple, cherry, pine, chestnut, and hickory. Typically, pine, oak, and maple will have lower price points because they are found in abundance. However, chestnut, cherry, and hickory tend to be more expensive because they are more limited in availability. The thing to remember is that using any of the above types will be well worth the price. Reclaimed wood is long lasting, durable, and is timeless when it comes to décor so it will be with you for the long haul. Therefore, the investment is worth it! When it comes to interior décor and design everyone seems to always be in competition to “one up” their friends and family. Using reclaimed wood for flooring or for any other building project will ensure that you will have a very unique and unmatchable final product. Reclaimed wood can be used to keep rustic charm or to add some character to a new home or renovation. It can easily be used as an architectural accent to almost any décor theme. All reclaimed wood is old and filled with history but each and every structure it comes from is one of a kind which makes it rare in and of itself. This is something that no new man- made product can boast. The visual characteristics of any piece of reclaimed wood is as individual as its history. Reclaimed wood will not provide clean lines or uniform flow. Because measurements go out the window when it comes to reclaimed wood do not expect perfection. Reclaimed wood is adorned with varying widths and lengths, dents, cracks, notches, scratches, divots, and holes so what you see is what you get! REMEMBER! These imperfections DO NOT take away from the structural integrity of any piece of reclaimed wood. It is some of the most dense and durable lumber on the planet. Interested in picking up some reclaimed lumber for your next project? Give us a call! We would be happy to help you pick out the perfect product for your job.